"On The Run" is only missing on the new Blu-Ray sleeve ... not the disc! Hello ... Hello ... my old friends ... It's great to see you once again! 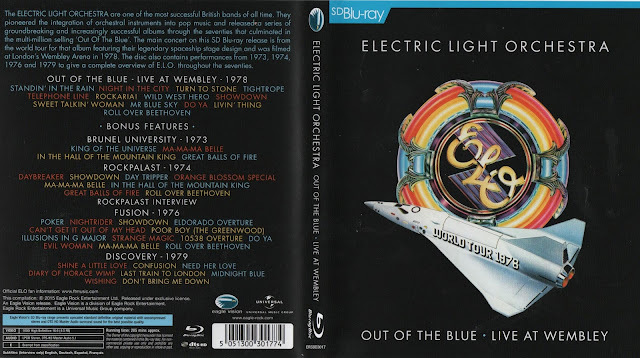 You may [or may not] be aware that the newly released Blu-Ray edition of ELO's legendary 1978 "Out Of The Blue: Live At Wembley" concert released by Eagle Vision/Universal [#ERSBD3017] also contains the footage of three  other ELO concerts: Brunel University , Rockpalast  and "Fusion"  as well as the entire "Discovery" promo film . Unfortunately, there is a typographical error on the sleeve of the newly released Blu-Ray which omits "On The Run" from the track listing for the "Discovery" promo film. Please be reassured that "On The Run" remains in its familiar position sandwiched between "Midnight Blue" and "Wishing" on the actual disc! "Do Ya" really think "Ma Ma Ma Belle" could be mistaken for the former Move track? But did you know that it isn't the first occasion where an ELO video release has been blighted by this type of mistake? 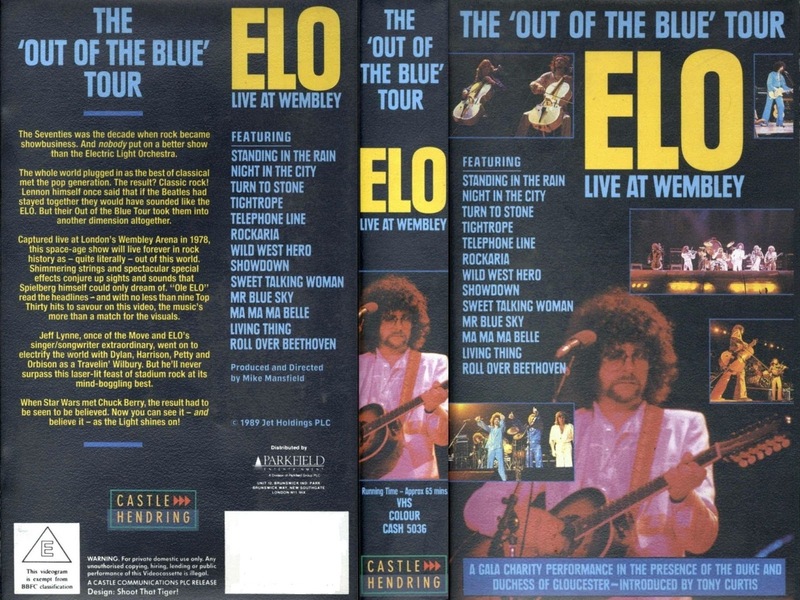 Back in 1989, when "The 'Out Of The Blue' Tour: ELO: Live At Wembley" was issued by Castle/Hendring on VHS [#CASH5036], the sleeve unfortunately listed "Ma Ma Ma Belle" in place of "Do Ya". A case of history repeating itself but also another reason why collecting ELO [and related] media is never boring - at least in the opinion of Yours Truly KJS!